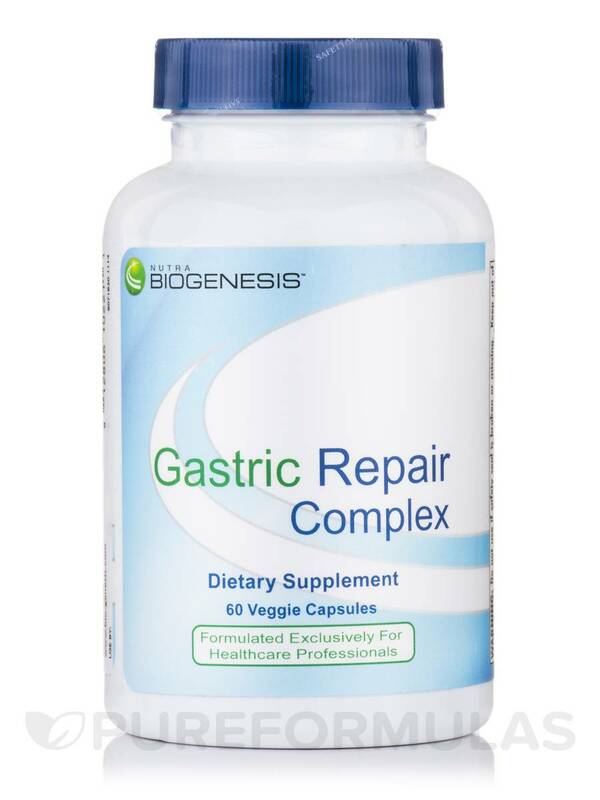 Gastric Repair Complex by Biogenesis Nutraceuticals works well when taken with meals. It helps my gut issues. The last bottle that I received had several capsules that were empty. That was a huge disappointment. 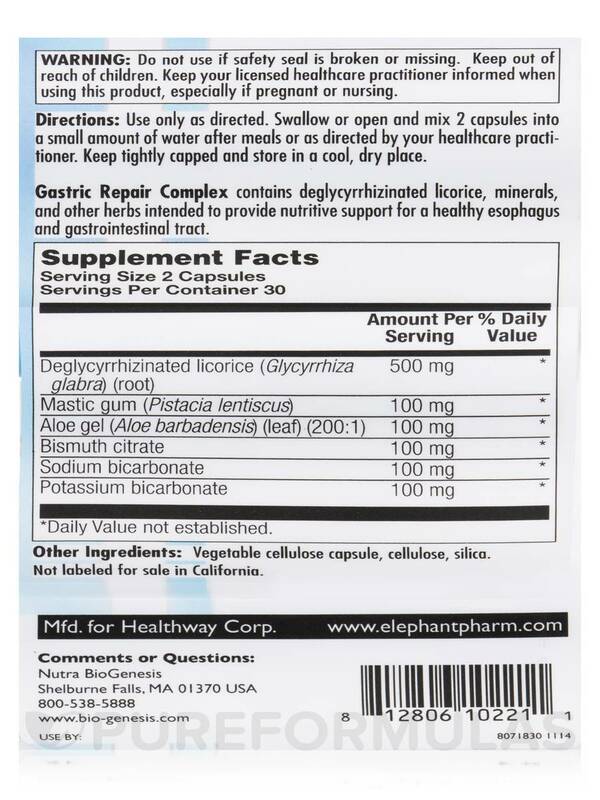 Gastric Repair Complex contains deglycyrrhizinated licorice‚ minerals‚ and other herbs intended to provide nutritive support for a healthy esophagus and gastrointestinal tract. 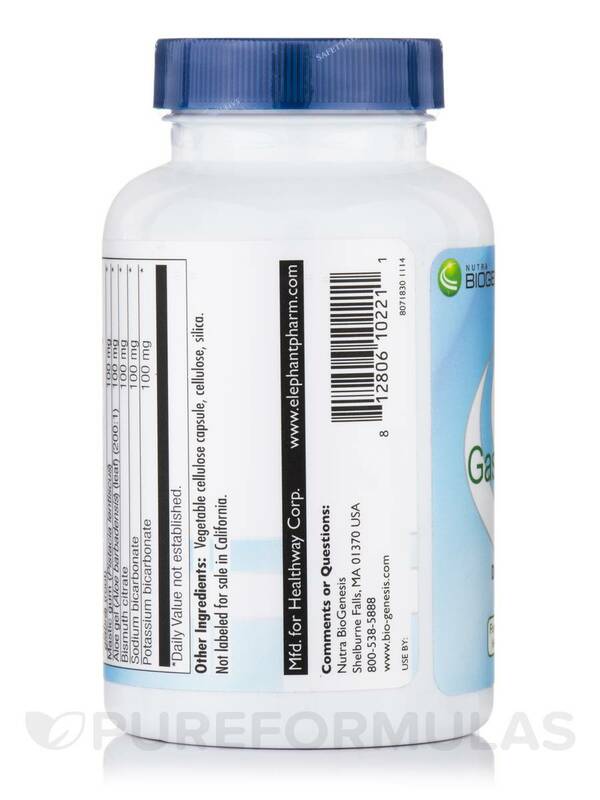 Other Ingredients: Vegetable cellulose capsule‚ cellulose‚ silica. Use only as directed. 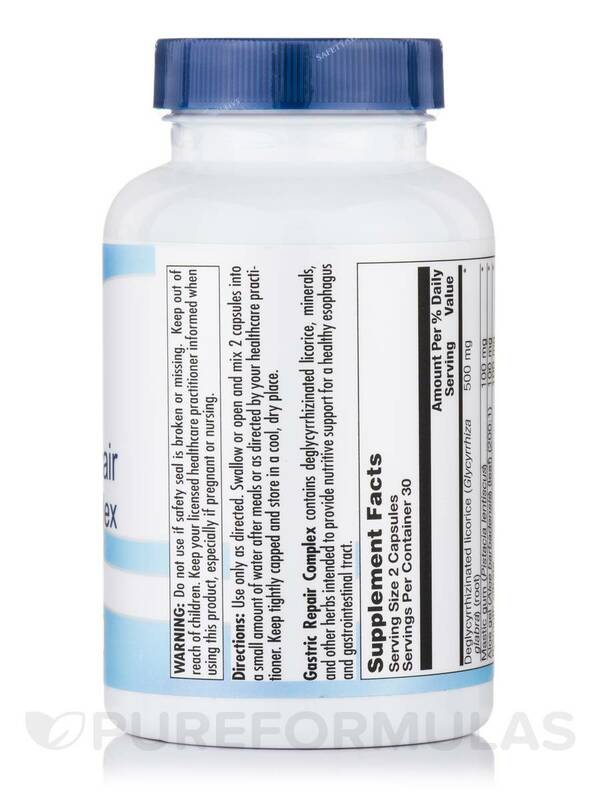 Swallow or open and mix 2 capsules into a small amount of water after meals or as directed by your healthcare practitioner. 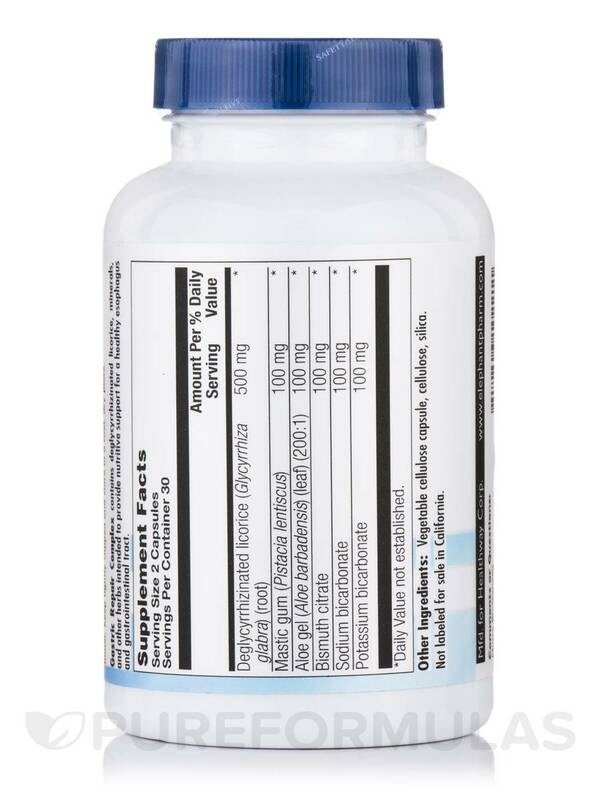 Keep out licensed healthcare practitioner informed when using this product‚ especially if pregnant or nursing. It helps with my stomach issues. There were several capsules that were empty. Hmmmmmmm.